I really love to drink water. Sometimes I freak out if I don't have any with me. My family was on that game show 'Family Feud' in 2006, but I wasn't old enough to participate. My best friend and I like to practice our British/Australian accents in hopes of visiting one day. I love Swedish Fish. And I also got my nephews to love them by tossing them into their mouths while they pretended to be seals. What a great aunt I am. One day I want to start my own business. My blog name was inspired by a song. I once gave a ride to a girl from Australia who was lost in front of my house and she treated me to coffee as thanks. We never saw each other again, but I now wish I knew her name. When I am on a plane and it takes off, I always listen for the ding to know that everything is alright, because if anything were to go wrong it would happen in the first five minutes. Or at least that's what John Cusack taught me in 'Say Anything'... Anyone? I have a hard time finishing things. The Bachelor is one of my guilty pleasures. 1. What is a Special Talent you have or Stupid Human Trick you can do? I actually don't have any! Boring, I know. Sometimes it is tough, but I'm motivated by the new, lovely people that discover my blog each day and the comments that they leave. It assures me that I'm not just talking to space! Plus, I just love sharing my thoughts and ideas. I'm most passionate about all things creative. 4. If you could meet anyone dead or alive, who would it be? I've already met this person, but I would see my great grandma again. I never got to say goodbye. Hopefully in 5 years I will have graduated from college, the readership of this blog will have grown, and I will be starting my career in graphic design/photography! All with Marly by my side. I just really want to go to Slovenia to meet my family. I don't really count Mexican as foreign (I mean, I'm from CA...), so I would have to say Thai. 8. What are you inspired by? I'm inspired by nature, architecture, other artists, the everyday, and the people around me. 9. What's your favorite hobby? I think my favorite hobby is this blog and everything that goes into it. Besides water, I would say sweet tea. 11. If money was no object, what would you do everyday? I would have a big studio space with a hangout spot in front where I shared my work and the work of other artists. There would be couches where people could come and enjoy a cup of coffee or tea and read a book. And I would just work on whatever I wanted and had every tool I could ever want at my fingertips. 2. What's the story behind your blog name? 4. Who is your favorite musical artist? 5. If you had some sort of super power, what would it be? 6. What's your favorite place to shop at? 9. Where have you traveled to? 10. Do you prefer an evening in or out? 11. What's your favorite holiday and why? Emily of Oh hello, love! Hey Jess! Thanks for coming to my blog! Great to meet you! What part of California are you in? Great to meet you too! I live in the San Francisco Bay Area. 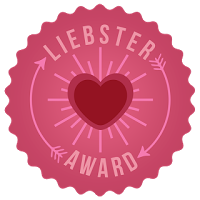 Congrats on the Liebster Award, darling! Super cute blog, so glad you found me and I was able to link over to you :) Looking forward to reading more from you in the future! Thanks so much for the nomination Jess! :) So glad to have found your blog, it's super cute! Thanks for nominating me, that's sweet of you!